MATH 6: Finish the fraction division classwork for homework. You will have a quiz tomorrow over GCF, LCM, and fraction division. You will be able to use your MSG notes on the quiz so make sure you bring it to class tomorrow. Review the videos on dividing fractions if you have questions. If you are struggling with the difference between a mixed number and an improper fraction and how to change from one to the other, then you may want to watch the following video. Wednesday will be an early release day. Students will be dismissed at 1:30 pm. MATH 6: Today we showed how modeling a fraction division problem relates to multiplying by the reciprocal of the fraction. MATH 6: Today we worked on modeling the division of fractions. I’m sure some of you felt very comfortable with what we were doing and others of you were feeling a bit of panic. Rest assured we will make sure to do enough examples that you will all be feeling ok about it by the end of the day tomorrow. With the Color Battle Kickoff some classes did not get as much covered as others. Mathantics has some great videos on fractions if some of you need some reminders about working with fractions. I have attached the one on adding and subtracting fractions, but feel free to watch some of the others once you are done with this one. HW for 2nd, 3rd, and 5th periods: Finish the GCF and LCM word problem worksheet from last Friday. HW for 1st period: Problems 5, 6 and 7 on the Fraction division worksheet. MATH 6: HW: p. 170, #27-32. Be sure to show your work! If you haven’t finished all your warm-ups through Thursday then you need to finish them tonight. They will need to be turned in at the end of class tomorrow. MATH 6: Today we saw the relationship between using the “cake” method to find GCF and LCM and how it can take less time when you this method. HW: p. 169, all problems. Solve using “cake,” “sled” or “ladder” as the following video calls it. This video will tie into tomorrow’s lesson on reducing fractions. MATH 6: Today we took MSG notes on factors and multiples. We learned how to use the “upside down cake” method to find common factors of two or more numbers. HW: Be sure to watch the attached video to see more examples done for you. Complete #1-4, on page 167. Today we covered divisibility rules and prime numbers. We will use those to prepare for LCM, GCF, and reducing fractions. I hope looking at your multiplication table, the divisibility rules and the prime numbers chart helped you see some of the relationships between numbers. HW: Find what numbers your Student ID number is divisible by. Use the Divisibility Rules to check. 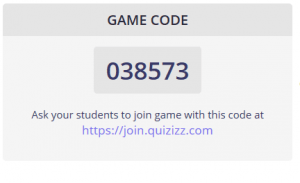 MATH 6: Prepare for the decimal division quiz by completing the Study Guide and Quizizz game. Use the game code below: You may need to work out the problems on a sheet of paper first! Today we practiced dividing decimals by decimals. We will have a quiz on decimal division on Friday. HW: P. 75, #15-21. Use your MSG for help. Watch the attached video if you need some reminders. MATH 6: Today we took notes on dividing decimals by decimals, but tonight’s homework just involves dividing decimal numbers by whole numbers. HW: P. 65, Odd numbers 1-9. Look at MSG notes from Monday and watch the following video if you need some help. We will spend most of class tomorrow working through problems with decimal division.